you can have 3 axis drivers, 1 extruder driver and optionally additional extruder or axis driver. In my case, I have 2 Z-axis steppers so the E1 is going to be Z2. 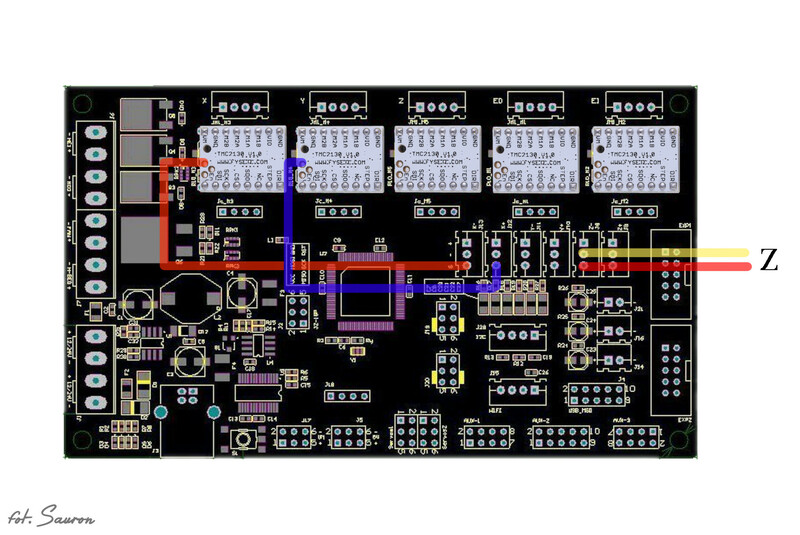 I could go with (like in my previous board) one Z-axis driver powering two steppers, but it’s rather ugly solution and since we want to have some „intelligence” out of our TMC drivers – this wouldn’t work well. I’ve used TMC drivers for all stepper motors, you could save some money and use it only for X/Y axis (perhaps Z) – but I ordered set of 5, and used all 5. I also used TMC 2130 feature to eliminate X and Y endstops (I still have mechanical Z min. endstop). Finally I have LCD with SD card reader – this is important, since I had to change pins 53 and 49 from „default” configuration (like for example Tom presented) to utilize unused endstops pins, to be able to use SD card still. I’ve also wanted to use interrupts for every working endstop (for ATMEGA this are 2, 3, 18, 19, 20, 21) – so there are also some small changes from original setup. Warning! This are only steps that are somehow different from standard configuration. Unless you’ve downloaded prepared config, you have to do other changes for your printer! // Specify here all the endstop connectors that are connected to any endstop or probe. // extra connectors. Leave undefined any used for non-endstop and non-probe purposes. // Enable this feature if all enabled endstop pins are interrupt-capable. // This will remove the need to poll the interrupt pins, saving many CPU cycles. 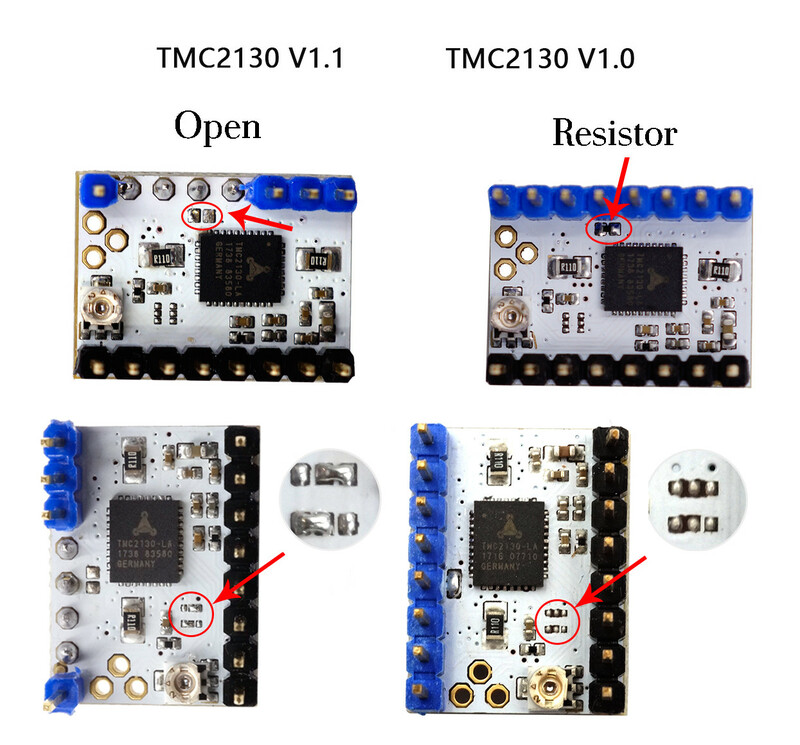 * Enable this for SilentStepStick Trinamic TMC2130 SPI-configurable stepper drivers. * in your `pins_MYBOARD.h` file. (e.g., RAMPS 1.4 uses AUX3 pins `X_CS_PIN 53`, `Y_CS_PIN 49`, etc.). * You may also use software SPI if you wish to use general purpose IO pins. * like overtemperature and short to ground. 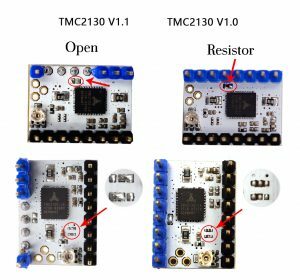 TMC2208 requires hardware serial. 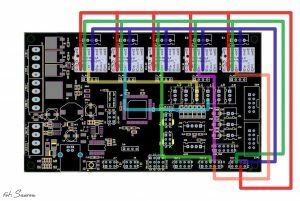 * In the case of overtemperature Marlin can decrease the driver current until error condition clears. * Other detected conditions can be used to stop the current print. * M906 - Set or get motor current in milliamps using axis codes X, Y, Z, E. Report values if no axis codes given. * M911 - Report stepper driver overtemperature pre-warn condition. * M912 - Clear stepper driver overtemperature pre-warn condition flag. * Use stallGuard2 to sense an obstacle and trigger an endstop. * You need to place a wire from the driver's DIAG1 pin to the X/Y endstop pin. * X, Y, and Z homing will always be done in spreadCycle mode. * X/Y/Z_HOMING_SENSITIVITY is used for tuning the trigger sensitivity. * Higher values make the system LESS sensitive. * Lower value make the system MORE sensitive. * Too low values can lead to false positives, while too high values will collide the axis without triggering. * It is advised to set X/Y/Z_HOME_BUMP_MM to 0. Finally change pins according to our connection on board. ps. About Marlin firmware I’ve prepared and linked here – this is firmware I configured for my upgraded Infitary printer (X/Y/2xZ + E0). You can use it, but probably you may need to change axis direction, bed dimensions and offset etc. I guess, what he says is that in the picture „SPI Connection” You connect the Y and X endstops to the Y MIN and Y MAX, but you say it has to go to X MIN and X MAX, as shown in the picture above. Im following your tutorial, excellent! You are right, description (with X MIN/X MAX) is wrong – corrected! I think that you were correct the first time. The lines going to Y MIN and Y MAX are chip selects, not endstops, right? Are the connections the same for a MKS Gen L 1.0? Also could I use E2 to drive my Z2 stepper and could both Z steppers have sensorless homing to make sure the gantry is parallel to the bed? I meant use the E1 to drive my Z2 stepper. Connection should be close if not identical – you can compare pin layout for both boards on schematic. 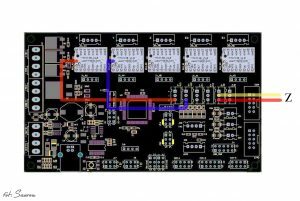 If board can handle second extruder, then yes – you can change it to second Z axis motor (motor for axis and extruder are the same type – and controller don’t care if it moves filament or axis). Well, D50 is connected to EXP1 socket – so potentially LCD can use it (in my case (MKS_MINI_12864) it’s assigned to beeper and I don’t have it). So you can reassign it to any other, free digital pin. TFT32 has it’s own driver (that serializes connection with ATmega) – so I don’t know how it will work this way. By default FIL_RUNOUT_PIN in defined in pins_RAMPS.h on pin D4 – this pin is available in servo socket. Some have the same address, is this correct? I had to resolder the connections on the board. The problem is that if I plug the driver in, it starts heating up immedialty without anything else connected on the board. What did I do wrong? 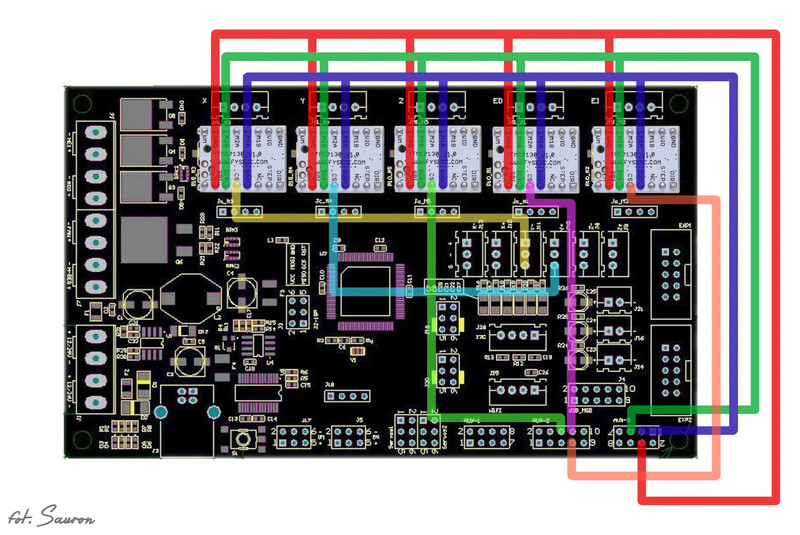 You would have to show some schematics, pictures – it’s hard to tell with information you provided so far. If it’s heating, it means it transfers current (close circuit), did you insert it correctly? I assume you are talking about TMC2130 board and changing it to SPI aware version (1.3). There is no other way (except buying new) then to resolder those tiny pads. Just use magnifying glasses and good, pointy soldering iron. To clean pads from solder, use some soldering copper wick. I may be late to the party but i have one Question. You said you got SD Card to work, how is that? I Only (visible) Plan on using a MKS TFT32, do you have plugged in another Display/SD Card Reader Combo? Do you know of anything that would work for me? Yes I have working SD card reader, but like I wrote it comment above, TFT32 is completely different beast. I haven’t used it, but as far I read specs, it uses own protocol to communicate with printer board and it’s computer by itself (has own firmware etc). I used so far two displays – RepRapDiscount Smart Controller and currently MKS MINI 12864 – on both, sd card was working. Thank you soooo much for this tuto, it really helped me. finally have my TMC’s running, but i still have a problem. Z mechanic end/stop works fine, but X/Y don’t, and i don’t really care to continue using mechanic ones, what should i change on Marlin to continue using mechanical end stops on X/Y? Hi. I am finishing my 3D printer built from scratch. It is a CR-10 clone. 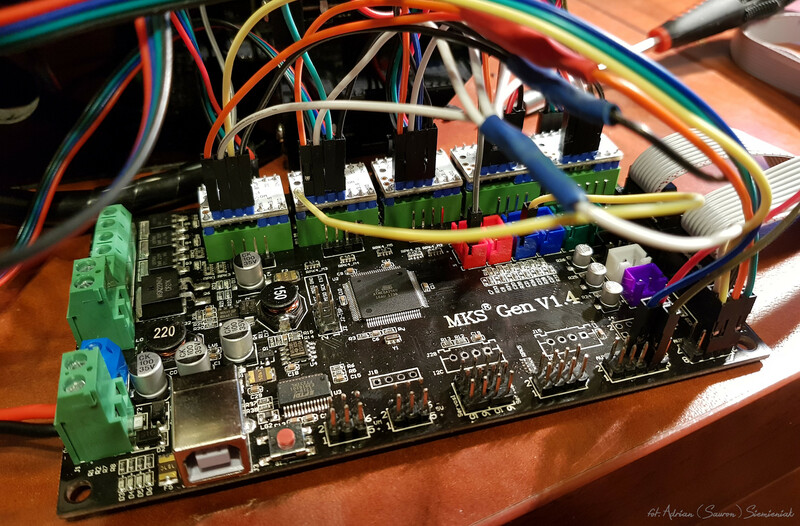 I have installed TMC2130 stepper drivers on a MKS Gen 1.4 board. I have all the TMC2130´s in the V1.0 version that is supposed they will not work in SPI mode. Is this a problem? Do I need to follow your Marlin config.h and config_adv.h respecting my machine dimensions, stepper motors specs and so one? 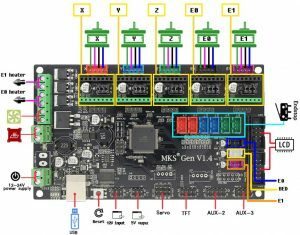 What should be a reasonable voltage for the stepper drivers? Thanks for your job supporting the community . They help us a lot. Silvio. Cheers from Brazil. 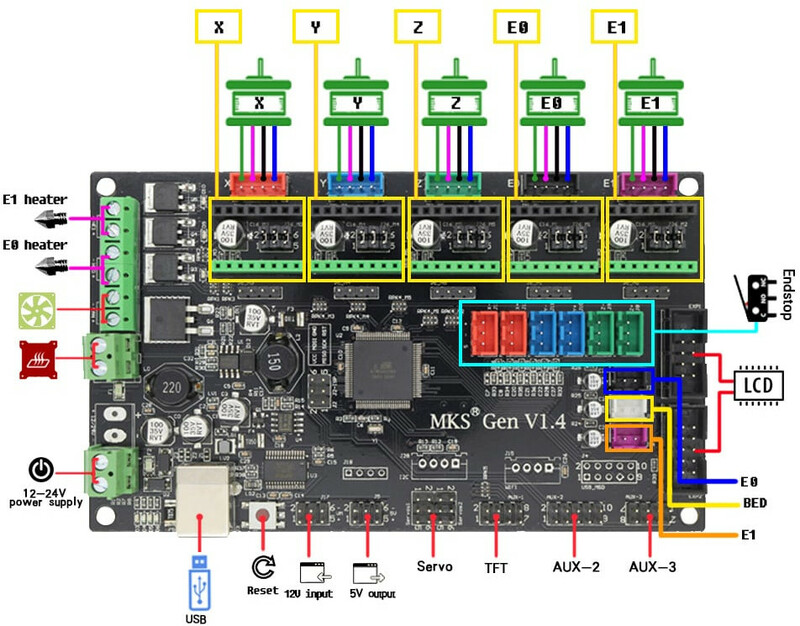 i Have Buy MKS Gen 1.4 And Driver TMC 2310 SPI So the connection That u explain on this tut that is will connect to my board ?! i Have Question Of in connection Driver X And Y to End Stop ! How i can Do it .. i can see in photo u take the 3rd Hole in back of driver to end stop How i can do this ? !